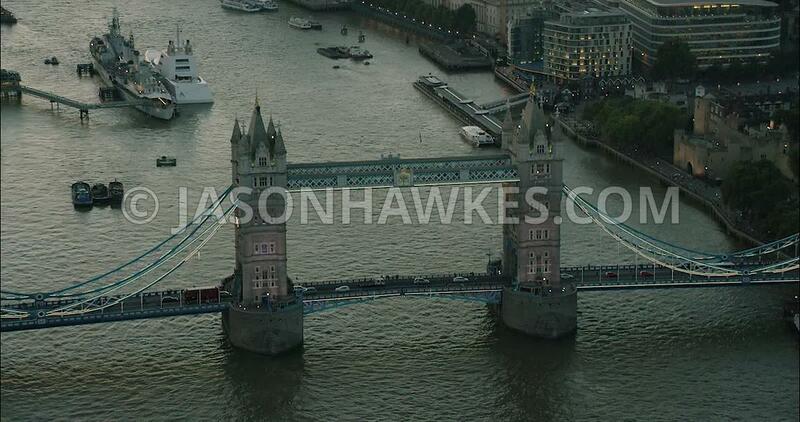 Aerial Footage London Aerial Footage of River Thames with Tower Bridge and HMS Belfast. London Aerial Footage of River Thames with Tower Bridge and HMS Belfast. London Aerial Film of River Thames with The Shard and 20 Fenchurch Street.